I give Indigo and Lily carrots daily as "treats" and they LOVE them. Both my vet and trainer suggested them when Indigo was a puppy and they quickly became a great training tool and a favorite. I give both baby carrots and the big carrots that I buy in bulk. I sometimes freeze the baby carrots and this is great in the summer and was especially helpful when Lily was teething. 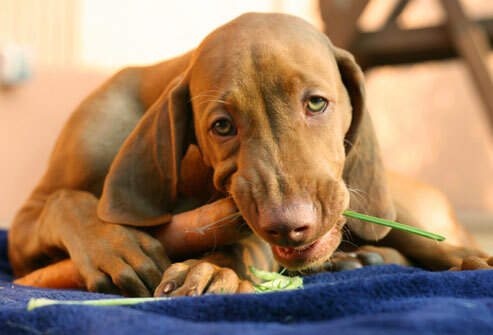 I have found that the big carrots are the favorite as anything "big" seems to be a hit (and it lasts longer)! 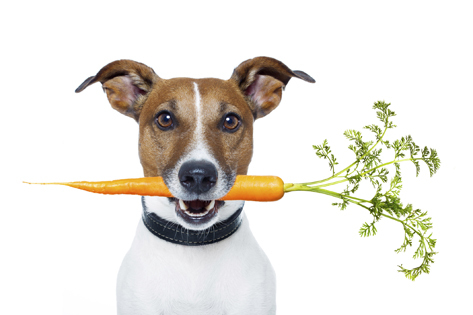 Raw carrots are great to help your dog maintain strong teeth and actually act as a toothbrush, scraping plaque and build-up from their teeth. Carrots are high in fiber, antioxidants, beta carotene and vitamin A. 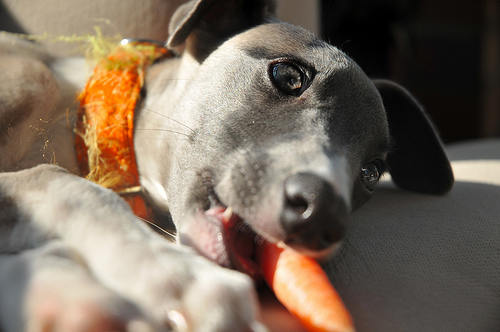 Carrots are low calorie, which make them a great supplement for the meat treats on the market and helps with weight control. Carrots are an inexpensive treat that you can feel good about. I give Indigo & Lily a large carrot every day, but I divide it in half so I can give it a couple of times a day. And, their tails are a waggin'!